It's in Australia's banks best interest to ensure they continue to approve housing loans, Treasurer Josh Frydenberg says. Mr Frydenberg said lending in the housing market was currently lower than the 10-year average. "So my message to the banks - keep your books open," he told reporters in regional Victoria on Thursday. "You have a social and an economic responsibility to ensure affordable and accessible and timely loans to the broader public. "It's in the banks' interests, it's in the economy's interests, and it's certainly in the public's interests." The treasurer's comments come after CoreLogic's latest Hedonic Home Value Index shows national dwelling values fell 2.3 per cent over the December quarter - the worst quarter-on-quarter decline since 2008. Most regions of Australia recorded a weaker performance as national values dropped 4.8 per cent in total in 2018. 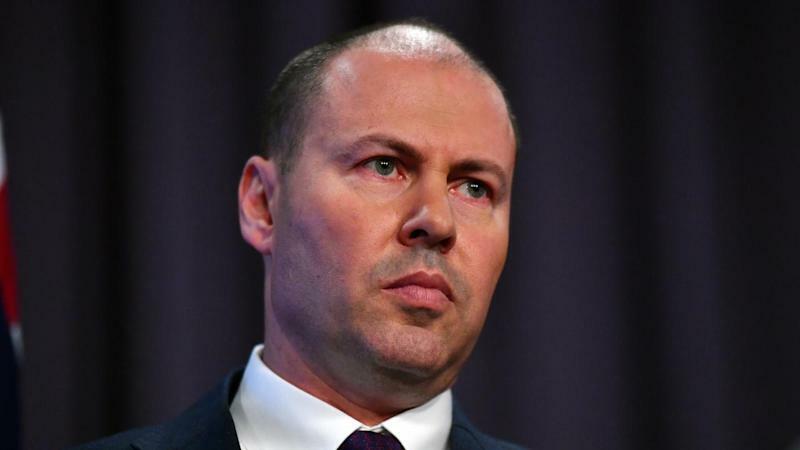 The Australian Prudential Regulation Authority's interventions in the market had made the economy more resilient and have therefore been lifted, Mr Frydenberg said. The treasurer warned that Labor's policy to remove negative gearing would reduce buyers in the market. But Labor's investment spokesman Jason Clare said the policy would help those trying to buy their first home. "At the moment you get tax incentives or assistance from the federal government to buy your fifth or sixth home," he told reporters in Sydney on Thursday. "You don't get that if you're a first home buyer. We think that's just plainly unfair."